Canada is often named as one of the top countries across the globe when it comes to liveability, but the country’s friendly culture and plethora of amazing sights and attractions also makes it perfect for travelers to explore. When it comes to finding a vacation destination that’s family friendly, and will cater to all ages of children, Canada has it all. From numerous wildlife experiences and stunning mountains, lakes, forest, and glaciers to see, to cosmopolitan cities to explore and cultural activities to try out, there really is something for every taste and age group. If you’re keen to spend time exploring Canada with your children on your next vacation, you’re sure not to be disappointed. Read on for five reasons why you should take your youngsters to Canada sooner rather than later. Canada really is a nation full of natural wonders. While there, you can see the Northern Lights sparkle; teach your kids to ski or snowboard on soft white powder; swim in crystal-clear lakes, and more. However, if you’re after an accessible natural wonder to check out that’s suitable for even young children, you can’t miss Niagara Falls. Located on the Canadian-American border, Niagara Falls isn’t a single waterfall as many people think. Instead, it’s made up of three separate waterfalls: the Horseshoe Falls, American Falls, and Bridal Veil Falls. It is the place to hear millions of cubic feet of water gush down every minute. There are numerous ways to see the waterfalls in action. For starters, take a look at the various Niagara Falls hotels in Canada or the U.S. which are perfectly positioned to offer amazing views of the natural wonder directly from guest bedrooms. It pays to book accommodation with floor-to-ceiling windows looking out at the view, so you can take it in day and night. Venturing outside, book a ride on the popular boat tours which run from either side of the Falls (Hornblower Niagara Cruises in Canada, and Maid of the Mist in America), taking passengers so close to the waterfalls that they get sprayed with water – something kids love. There’s also the Journey Behind the Falls experience, where you’ll see the natural wonder from behind, from within tunnels built into rock; or the Niagara SkyWheel (a Ferris wheel), which affords fantastic views from above. Another iconic Canadian experience perfect for families is a ride on the Rocky Mountaineer. This five-star railway operation travels through various parts of British Columbia, including Whistler, Banff, Lake Louise and Jasper, and has not only large windows on each side of its carriages, but also windows on the roof. This means you and your children won’t miss a second of the stunning sights outside the train. As you go, you should be able to glimpse creatures such as grizzly bears, eagles, and moose; and see breathtaking Canadian scenery such as glacier-fed lakes, snow-topped mountains, thrilling gorges, fresh pine forests, waterfalls, and picturesque towns. There’s regular commentary along the way too, so you can learn as you ride. For many families, it’s important to get exposure to new cultures while on vacation. In Canada, it pays to spend time in the French-Canadian part of the country to do this. 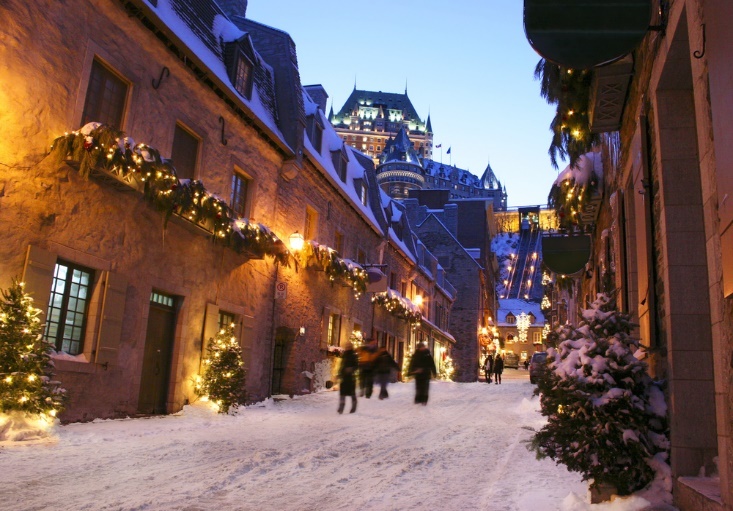 In particular, you should consider visiting Quebec City. Here you will feel like you’ve stepped back in time as you take in the city’s beautiful architecture, cobblestone streets, painted signs hanging from eaves, flower boxes in windows, and cast-iron lanterns. Of course, the city is also a French-speaking one (though many locals speak fluent English too). If you and your children have spent hours immersed in the Anne of Green Gables series over the years, make your way to Prince Edward Island. This spot was used as the setting for the children’s books. In addition, the island boasts vintage lighthouses; lots of lovely fresh seafood; and numerous music and art festivals being put on throughout the year. Lastly, a once-in-a-lifetime opportunity in Canada is the chance to see polar bears. With their declining numbers, now is the time to see these magnificent creatures in the wild before they become extinct. Head to Hudson Bay, near Churchill, in the province of Manitoba, where you can take a tour in a specially-designed tundra buggy and see the great white bears going about their day. Tours usually run in the months of November or March.